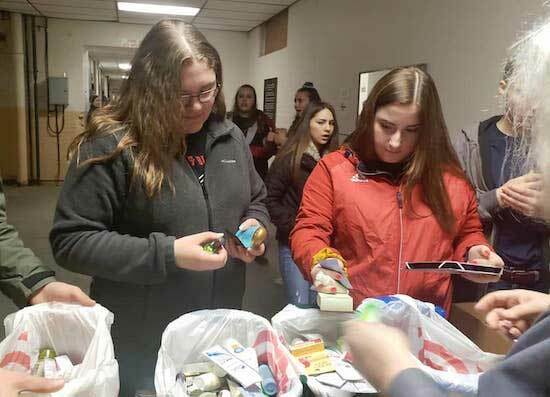 ROCHESTER – Haleigh Falls, left, and Megan Harrington, both members of the Holley Interact Club, sort soap, toiletries and other supplies on Thursday at Sample Soap, an organization in Rochester that collects and distributes the items to people in need in Rochester. 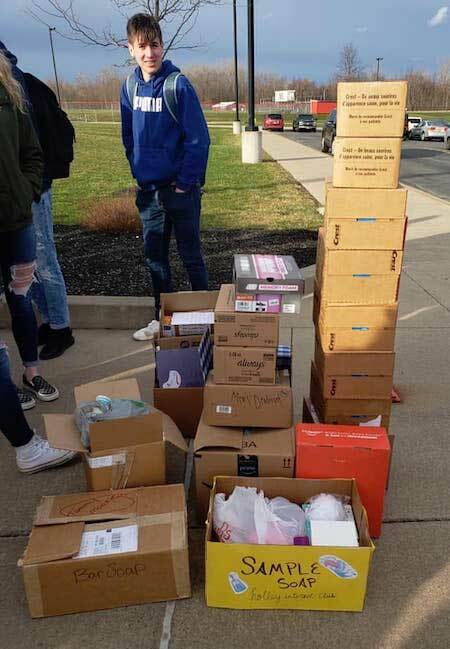 The Holley Interact Club collected the items for a month, with an end result of 313 pounds. 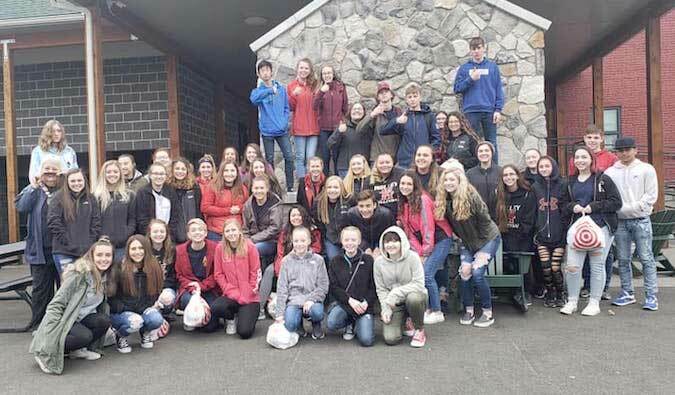 On Thursday the items were delivered in Rochester by 46 members of the Interact Club. Charles Turpyn is pictured with some of the boxes of soap, toothpaste, tooth brushes and toiletries that were delivered to Sample Soap and also the House of Mercy, which assists homeless people. 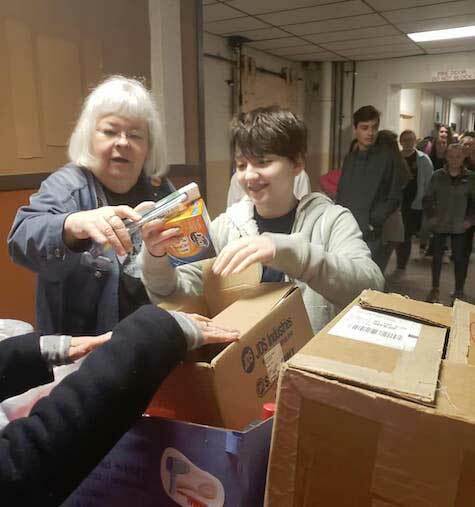 The Interact Club had bins at school to collect the items, and also sent home letters with students, asking for donations. “Once again the community came through for us,” said Samanatha Zelent, one of the club’s advisors. Taylor Black, a Holley graduate, works at Oral-B and secured eight boxes of toothbrushes and tooth paste from the company. Casey Onisk, right, sorts items with Sabra Wood, director of Sample Soap. Wood started the organization in 1990. 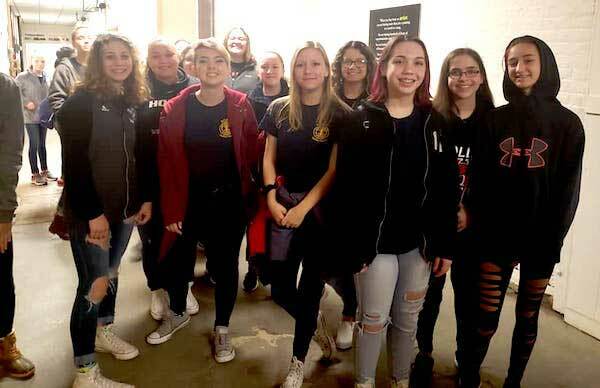 Holley students get a tour of Sample Soap, which distributes the toiletries to homeless shelters and other locations in Rochester. The Holley Interact Club poses for a photo at the House of Mercy, a homeless shelter in Rochester. MURRAY – A section of Monroe-Orleans County Line Road will be closed beginning April 16 while the contractor begins work to replace the bridge between Route 104 and Gulf Road. The bridge is over Sandy Creek, south of Route 104. CATCO in Alden is the general contractor on the project, which is expected to take four to five months. A posted detour will be in place. MURRAY – The Town Board approved a “confidential separation agreement” on Tuesday with a former employee, with the details of the agreement not to be made public, said Town Supervisor Robert Miller. The Town Board went into executive session to discuss the agreement. When board members and attorney Jeff Martin came out of executive session, the board voted unanimously to have Miller sign the agreement. Miller said the town can’t disclose who the agreement is with or for how much money. That irked resident Kerri Neale, who told the board the public should be aware of the agreement because it involves taxpayer money. 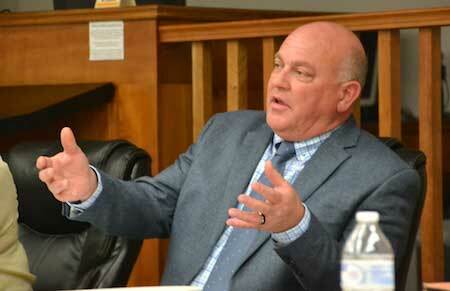 “You are not at liberty to discuss what you’re doing with our money?” Neale asked at Tuesday’s Town Board meeting. Miller said because it is a confidential agreement, the details can’t be shared publicly. 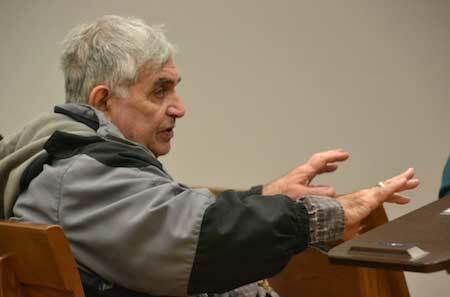 Neale said he believes the Town Board is doing what it believes is best for the town in resolving a conflict. However, Neale said he wouldn’t have reached such an agreement. HOLLEY – The state Department of Transportation next week will start milling and repaving Route 31 in the Village of Holley. 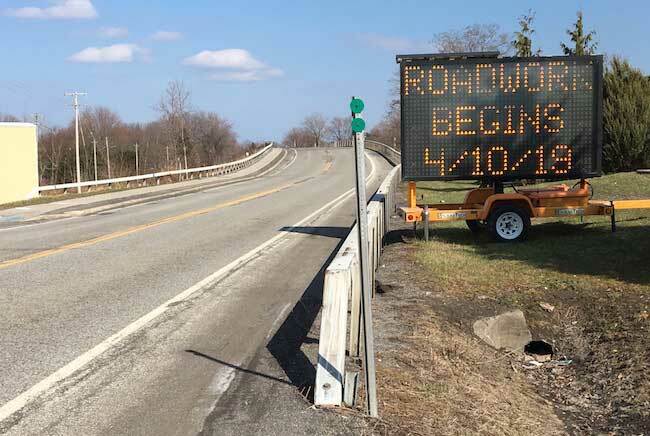 The DOT has sign on Route 31 on the western end of the village, telling motorists the project will start on April 10 and to expect delays trying to use the road. The DOT next year will pave Route 237 in the village. HOLLEY – The State Comptroller’s Office is recommending the school district adopt a comprehensive written procurement policy, and ensure purchases are made with a procurement policy and that a competitive process is used. The comptroller reviewed 42 purchases totaling $184,000 to assess how district officials procured goods and services that were not required to be competitively bid. The purchases and services included waste management, facility improvements, school supplies, professional services and road salt. When officials do not seek competition to procure goods and services, there is an increased risk that goods and services may not have been obtained for the best value to ensure the most prudent and economical use of public money, the Comptroller’s Office said in its report about Holley. Brian Bartalo, the district superintendent, sent a letter to the Comptroller’s Office on March 8, responding to the report. He said Holley will be updating its procurement policy and will include procurement of professional services. The district will ensure a competitive process is used when spending district funds on products and services, with an internal claims auditor monitoring the process, Bartalo said in his letter. The district’s administration, purchasing agent and internal claims auditor will all be thoroughly trained on the procurement policy, he said. 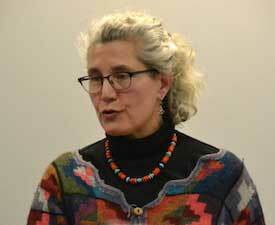 Bartalo discussed the audit with the Board of Education last month. He told the board the Comptroller’s Office was very positive about the district’s finances overall. 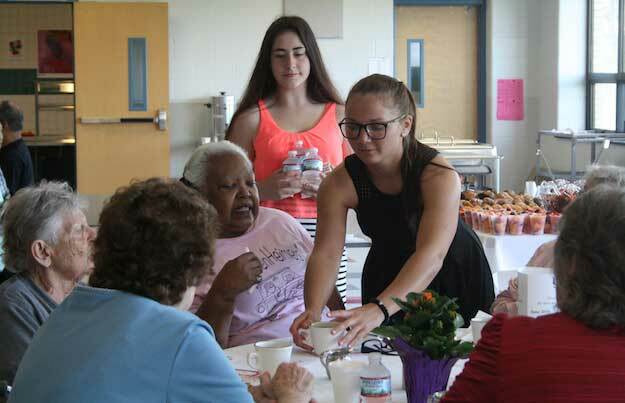 Photo courtesy of Holley Central School: Holley students serve local senior citizens breakfast during last year’s event in May. HOLLEY – The school district is welcoming senior citizens, ages 55 and older, for the 14th annual senior citizen breakfast in the Holley Elementary Café. The May 2 breakfast is free for seniors and the district will offer transportation if needed. The breakfast will be from 9 to 10:30 a.m. The district offers the breakfast as a way to thank senior citizens for their support of students and the school district over the years. Holley students will serve the seniors, and students will also sing for the guests. Seniors interested in attending the event, need to RSVP by April 26 to Connie Nenni in the District Office at 638-6316, ext. 2003. When seniors RSVP, then should also let Nenni know if they need a ride. Photo by Tom Rivers: Amy Machamer, co-owner of Hurd Orchards in Holley, said Murray’s proposed law for special event regulations at farms and wineries, would add uncertainty for her business. 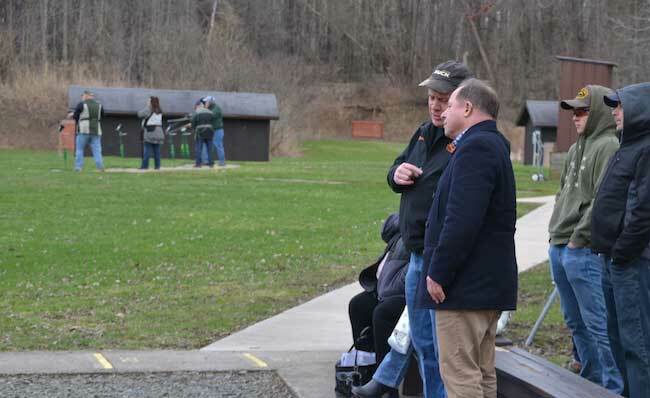 MURRAY – The Orleans County Planning Board voted on Thursday against proposed regulations from Murray to regulate special events at farms and wineries. Planning Board members said Murray’s proposed law isn’t clearly written, has some contradictions and may not be needed because the state Agriculture and Markets law already gives farm operations protections for hosting special events. 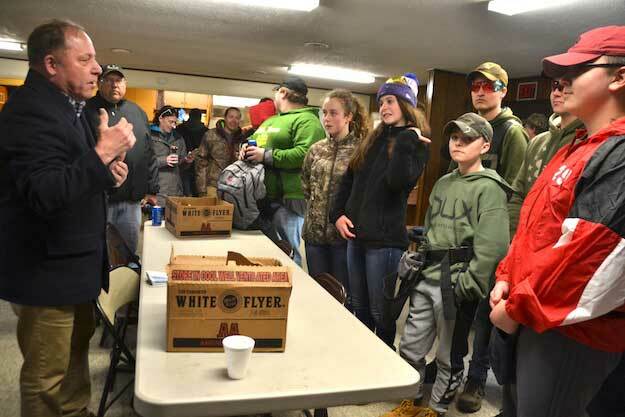 Paul Hendel, a Murray Town Board member, said the town regulations are intended to help more farms have special events to sell their agricultural products. “We’re not trying to put anybody out of business,” said Hendel, who is also a member of the County Planning Board. The town regulation wants farms and wineries to notify the town’s code enforcement or zoning official of any special events. Those events throughout the year must be a secondary revenue stream for the farm or winery, and can’t become the primary source of money for the business, according to the Murray proposal. “We think it will help them,” Hendel responded. 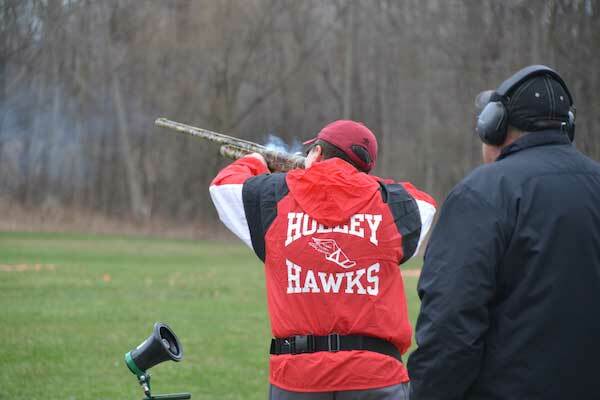 While Hendel said the regulations would grandfather existing operations with special events, the regulations don’t clearly say that, Vendetti said. “It doesn’t specifically say Hurd Orchards and Salamacas (Salamaca Estate Winery) are OK,” Vendetti said. Amy Machamer, co-owner of Hurd Orchards, said the Murray proposal is very concerning for her, given the uncertainty with how regulations are interpreted by a code officer or Planning Board. 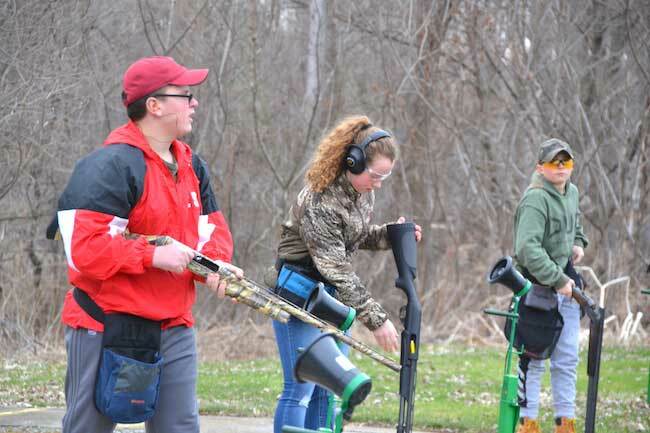 Although Hendel said existing businesses aren’t affected by the regulations, Machamer said another Town Board or Planning Board in the future could view it differently. Hurd Orchards uses many luncheons and special events to sell fruit and flowers grown on the farm, she said. Agri-tourism is a big part of many farms, she said, citing a movement for more breweries, even farms renting out rooms as Airbnbs. She also is concerned about the setback proposal requiring buildings to be at least 100 feet from the road. Machamer said Hurd owns many historic buildings that were built close to the road and don’t have a 100-foot setback. Joe Sidonio, Machamer’s husband, said the regulations aren’t needed because the town already adopted a Right to Farm law in 2001, that encourages agri-tourism and special events at farms. “We already have it on the books that we are promoting agriculture and we want it to grow,” Sidonio said. Hendel said the town wants to help other farms, not currently using special events to sell products, to add that revenue stream. The Town Board will have a public hearing at 7 p.m. on April 9 about the regulations. That hearing is at the Murray Town Hall, 3840 Fancher Rd. The Town Board can adopt the regulations but will need a super-majority vote due to the County Planning Board’s vote of denial.